Throughout the Superflex series, Superflex takes on different unthinkables with his Social Thinking powers. In this newest installment of the Superflex series, the Social Thinking superhero takes on his nemesis Brain Eater. Brain Eater distracts kids from doing their everyday tasks, like getting ready for school or listening in class. 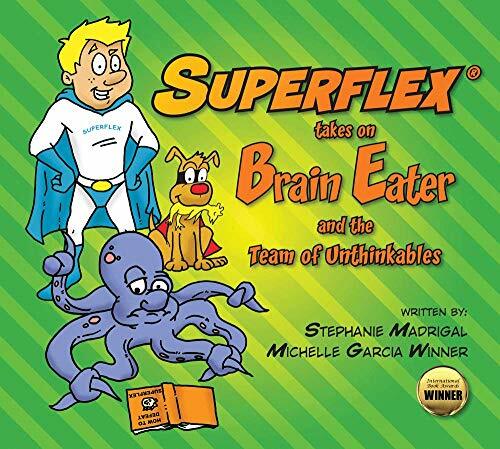 By using his Social Thinking strategies and his tool, the Superflex Distractor Shield, he is able to defeat the distracting disputant Brain Eater, while also teaching the students invaluable strategies for defeating their own Brain Eaters! This book is a great tool to help kids who have a hard time staying on task due to their own Brain Eaters getting the best of them!